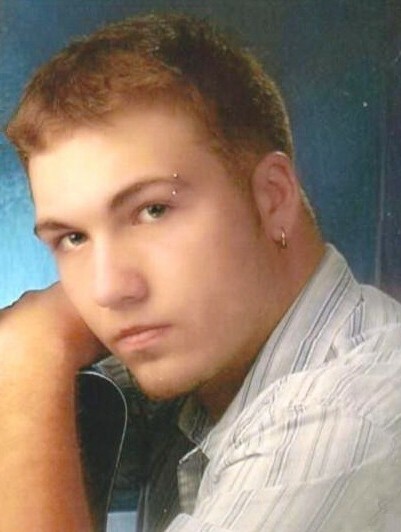 Wolfenberger, Ryan age 32, of Middletown, passed away Monday, April 8, 2019. He was born March 1, 1987 in Middletown, OH to Steven Wolfenberger and Laura Mitchell. Ryan enjoyed playing the guitar. He is survived by his parents, Steven Wolfenberger, Laura (John) Palmer; brother, Steven (Rebecca) Wolfenberger; nephew, Graham Wolfenberger; niece Claire Wolfenberger; maternal grandfather, John Durbin; paternal grandmother, Elsie Hornbeck; aunts, Cindy (Chuck) Boyer, Lisa (Larry) Collins, Angie (Vince) Busone; uncle, Wayne Durbin; and cousins, David & Justin Riley, Dustin & Daniel Mitchell, Trevor Collins. Ryan is preceded in death by his paternal grandfather, Tommy Wolfenberger; maternal grandmother, Barbara Durbin; and step-grandfather, Mason Hornbeck . Services will be held at the convenience of the family. Condolences may be sent to the family at www.bakerstevensparramore.com.